Turquoise symbolism is no small part of this gemstone’s allure across the world. Even the earliest cultures to discover turquoise believed it held immense power and symbolic meaning. In Tibet, monks often wore untreated turquoise jewelry because it would change color over time. The Tibetan people believe the change in color symbolizes and reflects the life of all beings, from birth until death. The stone also has deep historical ties to the Middle East and to this day, Persians believe wearing turquoise will help focus the mind during prayer, bringing you closer to God and increasing the chance of the prayer being heard. 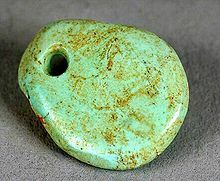 Most people are familiar with turquoise symbolism associated with Native Americans and several tribes placed immense significance on the stone’s powers. Southwestern tribes believed the stone harbored life-giving qualities and symbolized both water and sky. Turquoise symbolism has always been important to tribes for several reasons, never simply as a fashion commodity, although its beauty is still deeply appreciated by the Navajo, Zuni and Hopi tribes who use the stone in art and jewelry. Archeologists believe American Indians began mining turquoise thousands of years ago in the American Southwest and ancient dig sites have been discovered in Kingman, Arizona and other locations. 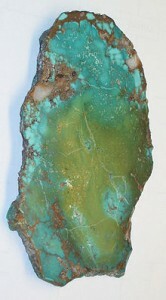 Turquoise myths are not merely a trend of the past and the symbolism of turquoise hasn’t died down over time. In fact, many people still believe the stone has the power to heal, bring good fortune, improve focus enhance positive energy. Nature enthusiasts use turquoise during ceremonies to honor the Earth and appreciate the natural beauty of gemstones. New Age practitioners use and wear turquoise for a number of reasons. They believe the stone promotes wisdom, protection, purification and aids in positive thinking. Many people believe wearing turquoise will deflect negativity and make the wearer less prone to depression and a loss of energy. © 2019 Turquoise Myths. All Rights Reserved.